This newest publication from Lama Yeshe Wisdom Archive is drawn from Lama Yeshe’s last teachings in the West, a weekend seminar on death and after death in Switzerland in 1983. Although at this time Lama Yeshe told his students he would die soon, his boundless energy and joy were used as reasons to believe that maybe he wouldn’t disappear too soon. He died five months later. 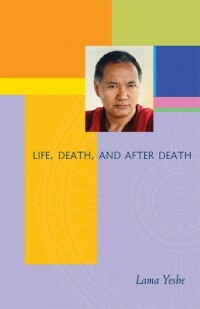 This book looks at death and after death through Lama Yeshe’s characteristically accessible and optimistic perspective. 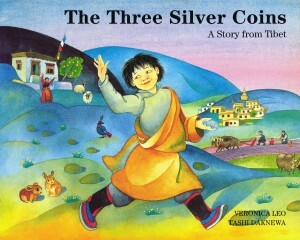 It also includes a thorough motivation by Lama Zopa Rinpoche. Truly worth reading. 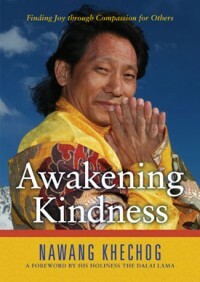 Based on his experience as a Tibetan Buddhist monk and the kindness workshops he has already developed, Awakening Kindness is a generous offering in an easy-to-hold hard-back gift book. Khechog seeks merely to encourage the reader to actively develop her own innate kindness, and does this with a smorgasbord of personal anecdotes, quotes and profiles of renowned peacemakers, booklists, meditation exercises and poetry. And if all that wasn’t enough, Khechog offers 50 minutes of downloadable flute music to support your search for a kinder and more gentle heart. (Did I forget to mention that Khechog is also a Grammy-nominated flautist?) 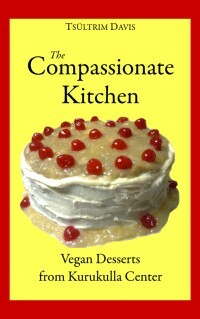 This book is universal in its approach and suitable for Buddhist and non-Buddhists alike. Tibetan scholar Khöntön Peljor Lhündrub (1561–1637), or Khöntönpa, served as the fifteenth abbot of Sera Monstery’s Je College. Because of his deep knowledge of the teachings of the Sakya, Nyingma, Gelug and Kagyü schools, he has been described as a rimé master. Khöntönpa’s The Wish-Fulfilling Jewel of the Oral Tradition, written in 1609 and until recently believed to be lost, is the primary work in Meditation on the Nature of Mind. 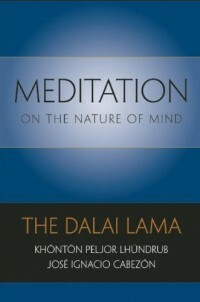 In his preface, José Cabezón, who translated and annotated the text, writes, “The work piqued my interest for a number of reasons: clearly written, it manages to combine both theory and practical instructions for meditating on the nature of mind in a manner that is easily accessible. Especially interesting was the non-sectarian approach it took in regard to its subject matter, with liberal citations of scholars from across the Tibetan Buddhist spectrum.” Introducing Khöntönpa’s text is a “profound and erudite” lecture called “The Nature of the Mind” given by His Holiness the Dalai Lama during his visit to the University of California Santa Barbara in 2009. Cabezón also provides a brief yet fascinating biography of Khöntönpa and an introduction to the Wish-Fulfilling Jewel that describes the work’s significance and situates it in an historical context. 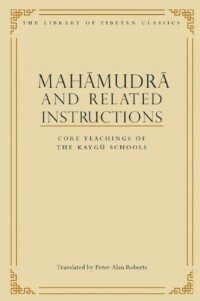 Mahāmudrā and Related Instructions: Core Teachings of the Kagyü School is the fifth title in The Library of Tibetan Classics series. The series will eventually span 32 annotated and expansive volumes, encompassing a wide array of Tibet’s philosophical, historical, literary and medical works. This most recent release focuses on texts of the Kagyü school, which has its origins in the 11th century. Milarepa is perhaps the most famous of Kagyü meditators. The collection begins with “A String of Pearls: A Collection of Dharma Lectures” by Milarepa’s student Gampopa (1079-1153), who founded the first Kagyü monstery. Also included are works by Lama Shang (1123-93), Karmapa Rangjung Dorjé (1284-1339), Dakpo Tashi Namgyal (1512-87), and Shamarpa Chökyi Wangchuk (1584-1630) among others. Translator Peter Alan Roberts provides a useful introduction outlining the history and development of the Kagyü tradition. 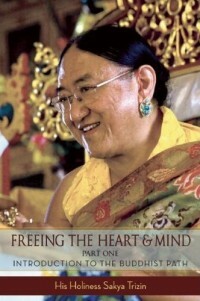 Free the Heart and Mind begins with a teaching by His Holiness Sakya Trizin, outlining the basics of Buddhist teachings. His Holiness focuses especially on the four noble truths, giving easy to understand explanations of suffering, the cause of suffering and refuge. 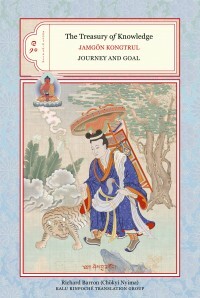 The second section of the book looks at compassion and techniques for developing compassion through meditation, including historic texts by Dragpa Gyaltsen (1147-1214), Muchen Sempa Chenpo Konchog Gyaltsen (1388-1469), and commentary by His Holiness Sakya Trizin on Mahasiddha Virupa’s Matchless Compassion Yoga. The third section of Free the Heart and Mind contains a biography of the founder of Sakya order, Sachen Kunga Nyingpo (1092-1158), which provides a good introduction to his Parting from the Four Attachments. His Holiness’ lengthy teaching on Parting from the Four Attachments is accompanied by several other commentaries by historic teachers, including Jetsün Dragpa Gyaltsen (1147-1216), Sakya Pandita Kunga Gyaltsen (1182-1251), Gorampa Sonam Senge (1429-89) and Jamyang Khyentse Wangpo (1820-92). Sarah Harding has skillfully revealed the emerging rainbow-like shape of a woman of mystery, an elusive dakini whose teachings have survived for more than 10 centuries. 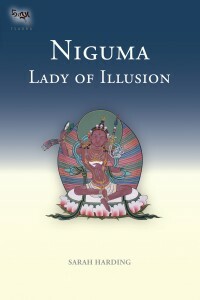 Even though Niguma’s birthplace, presumed to be Kashmir, is itself a “divinely inspired illusion,” and her connection to Naropa – he may even have been her brother – is elusive to say the least, there is no doubt that this was a woman who was a real spiritual leader. In 13 of her works which form the basis of an ancient lineage, Shangpa, this lady of illusion instructs practitioners in how to incorporate all appearances as illusion in daily life. The clarity, wit and sheer persuasiveness of her texts make this a riveting read, and the inclusion of what is known about her life and times is historically fascinating. The focus of this, the latest volume in The Treasury of Knowledge, is the spiritual path (the “journey”), with the “goal” being, of course, enlightenment. It is indeed a “mind-map,” the sign-posts of which are accessible to practitioners of various levels of practice and attainment, encompassing as they do perspectives from many schools of Buddhism. Far from confusing the reader, the clear coherent step by step instructions lead one through exhaustive Mahayana and Vajrayana approaches to transformation. The preservation of these teachings is vital, and this work is truly an awesome treasure, made possible by the support of the Tsadra Foundation. The indefatigable Alan Wallace has produced yet another comprehensive guide to mastering the art of mindfulness. He traces some of his own journey, starting with his personal discovery in 1970 of the “four close applications of mindfulness’” – how we mistake the body for a real self, feelings for genuine happiness, the mind for a real self, and phenomena for real objects. These mistakes, he explains, lead to distorted perceptions and are pretty well guaranteed to produce endless suffering! And so, if you – as Wallace did – get a glimpse of your own mind as an “awful place,” this is the book for you. The theory comes to life under his clear instruction, and his word pictures are vivid: in settling the mind into its natural state, for instance, he imagines a tiny kestrel kiting into the wind; and he likens our practice to the family farm, where planting an orchard that won’t bear fruit for years is perfectly sensible because we know that by nourishing and tending it we will get the results. 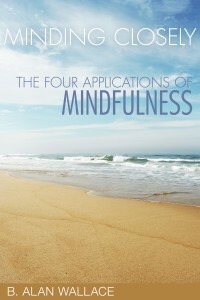 The four applications of mindfulness are indeed the central pillars of Buddhist wisdom. Properly installed, they hold up an earthquake-proof edifice for the practitioner. Red alert! 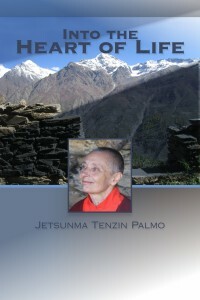 Advice from a wise, amiable friend who spent 12 solitary years in a cave: “It’s not necessary to suffer!” Once again, it’s Tenzin Palmo bringing her pragmatic hard-won view of life to our attention. This new collection of talks and dialogues covers not only the cessation of suffering, but the other ingredients for a happy life: the six perfections, bodhichitta, recognizing impermanence, understanding the laws of cause and effect, the benefits of renunciation – and all in a down-to-earth presentation which includes some very interesting question and answer sessions covering thorny subjects like abortion, meat-eating, idiot compassion, teaching children to be still, how to lessen another’s bad karma (is that interfering?). Read and learn from this transforming teacher whose own delight in the challenge of how to make something meaningful from a human life shines through. This riveting tale of adventure and magic is sure to be a winner with a new generation of youngsters yet to meet a boy named Jinpa and the animals he rescues. Jinpa is sent out into the world where he makes choices that reap karmic rewards, but also lead to a confrontation with an evil king. Will the animals he befriended be able to help him? Richly illustrated and finely written, this will open the hearts of young and old. Thank you, Snow Lion, for reissuing this delightful book.